Weekdays: 10am - 5pm. During the Festival: daily 10am - 7pm. Mark and Marichka Marczyk discuss the Ukrainian revolution on Wednesday 16 August. See p.13 for details. An award-winning hit at last year’s Edinburgh Festival Fringe, Counting Sheep is a breathtaking ‘guerrilla folk opera’. Created by musicians Mark and Marichka Marczyk with Balkan-klezmer-punk band the Lemon Bucket Orkestra, this groundbreaking show offers a personal retelling of the Maidan revolution, the popular uprising that succeeded in toppling the Ukrainian government in 2014. An explosive mix of theatre, dance, music and song pitching audiences head first into the chaos of those days, Counting Sheep invites you to experience the exhilaration, passion and heartbreak of revolution up close in 360 degrees. Don’t miss this moving, joyous show in its only Irish performances. series featuring the Irish Chamber Orchestra and Jörg Widmann, juxtaposing Schubert masterpieces with major Widmann works; the late string quartets and quintet performed by Quatuor Mosaïques; Schubert's last three piano sonatas performed by Christian Blackshaw; a lecture by the legendary Alfred Brendel, and the piano trios and ‘Trout’ quintet performed by the Fidelio Trio and guests. To round out this epic project, a series of talks explores the composer’s life and music in greater depth. Our Schubert season opens with a mouthwatering trio of concerts from one of the world’s leading string quartets. Since its formation 30 years ago, the Vienna-based Quatuor Mosaïques has spearheaded the period-instrument revival, performing in major concert venues all over the world and winning countless plaudits (including a Gramophone Award) for its flawless musicianship and unique sound. For these first appearances in Ireland in almost 20 years the ensemble focuses on Schubert’s late quartets: four celebrated pieces written towards the end of the composer’s life, including the incomplete but masterly 'Quartettsatz', the magnificent Quartet in G major, and the transcendent 'Death and the Maiden'. For the final concert Quatuor Mosaïques is joined by guest cellist Matthias Bartolomey to perform one of Schubert’s greatest works: the String Quintet in C major. The ICO’s concert performance of Mozart’s Idomeneo – conducted by Christian Curnyn – was one of the undoubted highlights of last year’s Festival. This year Curnyn returns to Kilkenny with his award-winning Early Opera Company to present perhaps the greatest opera of the Baroque era: Giulio Cesare in Egitto (Julius Caesar in Egypt). First performed in London in 1724, Handel’s operatic masterpiece focuses on the legendary romance between the Roman general Julius Caesar and Cleopatra, the Egyptian princess fighting her brother for the throne. One of the world’s great countertenors, Iestyn Davies, makes his debut as Caesar, while Anna Devin debuts as Cleopatra and Rachel Kelly (who, like Devin, shone in Idomeneo last year) performs the role Sesto, the son of Caesar’s enemy Pompeo. With a world-class cast conducted by a leading Handel expert, this will be a gala performance to remember. Albesila Over the last few years, the appearance of a breathtaking luminarium in the Castle Park has become one of the great sights of the Festival. This year, to mark its 25th birthday, Architects of Air decided to try something new. Albesila features all the elements that make its luminaria so popular with young and old alike: a magnificent central dome filled with stars, vibrant primary colours and ever-changing light effects. But while other luminaria encourage you to get lost, Albesila boasts spectacular sightlines that enable you to see right along the structure’s length. It’s another first for a company that has become such an essential part of the Festival experience. The luminarium is wheelchair accessible. Children under 16 must be accompanied by an adult. 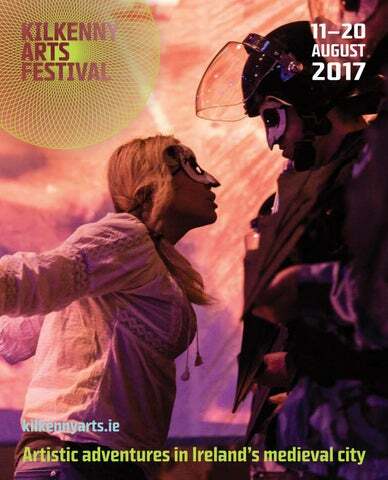 One of the most talked-about shows at last year’s Festival was Behind the Dark, a deeply eerie, strikingly beautiful fusion of dance and acrobatics staged at night in Kilfane Glen. The show’s creators, the award-winning Loosysmokes, are rapidly making a name for themselves as one of Ireland’s most original companies and this year they return to Kilkenny to present the world premiere of a brand new work. Raven Eyed is a spectacular blend of gravity-defying aerial work and audio-visuals that explores the boundary between the past and the present, the real and the imagined to create a turbulent dreamscape where superstition meets the surreal. Taking place in the historic Brewhouse – the former Smithwick's brewery, and one of the most atmospheric spaces in the city – Raven Eyed is an acrobatic tour de force that will turn your perspective upside down. Duration 60 mins approx. The tectonic plates are shifting for Ireland and Europe, as Brexit and Trump upend old assumptions, momentum for EU integration returns, populism regroups, and conflict continues on the Eastern frontier with Russia. Curated by Anna O’Sullivan, Director, Butler Gallery The Butler Gallery, in association with Kilkenny Arts Festival, presents the influential film The Way Things Go, 1987, by world-renowned Swiss artists Peter Fischli (b. 1952) and David Weiss (1946-2012). In this thirtyminute film, household and industrial objects are sent in what seems to be an unstoppable chain of motion, both simple and complex. Leading artists and public figures from Western, Central and Eastern Europe share creative visions and imagine possible futures, in a series presented in partnership with Creative Ireland. In honour of the 30th anniversary of the making of The Way Things Go, a group of artists has been commissioned to make a new work in homage to this important film. Also included is work by artists who have a particular sympathy with, or relationship to, The Way Things Go. All of these artists have acknowledged the importance and influence of the work of Fischli and Weiss on their individual art practice, and have created works in a variety of media that pays tribute to one of the truly inventive and memorable works of art produced in the late-twentieth century. Addressed to his lover ‘Bosie’ (Lord Alfred Douglas), De Profundis is an extraordinary testament to strength in adversity. Stephen Rea (who performed Seamus Heaney’s Aeneid: Book VI to great acclaim at the Festival last year) returns to the Watergate to read a specially abridged version of Wilde’s epic letter. Featuring a live score composed by Neil Martin and performed by the Irish Chamber Orchestra, this performance of Wilde’s most personal text promises to be an intensely moving experience. Between November 1895 and May 1897 Oscar Wilde was incarcerated in Reading Gaol, spending 23 hours a day confined to a cell so small he could touch both sides at the same time. It was not until 1897 that he was given pen and paper, and what he wrote was De Profundis, ‘one of the greatest love letters ever written’ (Colm Tóibín). Hi! Fashion at the National Craft Gallery presents stunningly crafted garments and accessories from Japan and Ireland, exploring the visual correlations and contrasts between designers on the two islands. Curated by Gemma A Williams and designed in collaboration with ROJI, Hi! Fashion is an official event in the celebrations of the 60th Anniversary of Diplomatic Relations between Japan and Ireland, and is supported by the Japan Foundation. Celebrating 60 years of sartorial history, Hi! Fashion features Japanese and Irish fashion side by side, creating a visual essay composed of juxtaposing garments. These tableaux will reveal unspoken dialogues, creating new conversations inspired by the contrasting, cyclical and disruptive nature of the design process. The exhibition showcases garments from across the decades, starting with Irish designer Sybil Connolly, and features the work of internationally renowned Irish designers including John Rocha, Lainey Keogh, Richard Malone and Úna Burke. Japanese designers include Kansai Yamamoto, designer of David Bowie’s costumes during the 1970s; milliner Maiko Takeda and Issey Miyake; together with innovative contemporary designers like Anrealage and Noritaka Tatehana, who numbers Lady Gaga and Daphne Guinness among his fans. Community Craft Workshops: I (she) was here Learn Limerick Lace stitches and embellishment techniques with designer maker Ruth Duignan to create a textile installation in Castle Yard, considering the often anonymous role woman play in the fashion and craft industry. Admission free but ticketed. Community Installation: I (she) was here Building on work created in the Community Craft Workshops, join designermaker Ruth Duignan to stitch, sew and embellish textile silhouettes inspired by the Hi! Fashion exhibit creating a community installation in Castle Yard. Drop-in to take part. Adult Craft Workshop: Leather Working with Úna Burke Create your own bespoke leather accessory in this hands-on workshop with multi-award-winning leather designer Úna Burke. Booking required. Cost €35. Suitable for 6-11years, cost €5. Limited to ONE workshop per child, parents/guardians must stay in Castle Yard. Booking through Festival Box Office on 056 7752175 from 13 July. Suitable for 12-17 years, cost €5. 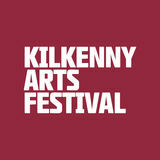 Booking through Festival Box Office on 056 7752175 from 13 July. Design and create incredible headwear inspired by the textured, unusual body sculptures of Maiko Takeda crossing the boundaries of fashion and art. Inspired by Maiko Takeda's headdress, create a fantastic sculpture for your head! Creative crafting with unusual materials. Learn the basics of Japanese woodblock printmaking to create your own colourful block-prints from hand-carved woodblocks. Discover the ancient craft of Japanese woodblock printmaking to imagine, draw and carve your own unique woodblock and print on special Japanese kozo paper. Transform interesting patterns in the Hi! Fashion exhibition into papercut images, inspired by Japanese Kirigami techniques. Experiment with Japanese kirigami paper-cutting techniques to create individual paper-cut sculptures. Few contemporary thinkers could be better placed to deliver the Hubert Butler Lecture than Eva Hoffman. For more than 25 years, in books such as Lost in Translation, the bestselling memoir that launched her career, Hoffman has probed the questions at the heart of Butler’s own work – the complex history of Eastern Europe, the tension between individual and collective memory, and the ways in which language and culture make and remake us – with remarkable sympathy, balance and compassion. Having lived her life in Poland, the US and now the UK, Hoffman comes to Kilkenny to share her unique perspective on the state of Europe today. Don’t miss this opportunity to hear from a thinker Roy Foster once described as an example to everyone who writes Irish history. ‘Brother, this is nothing at all … stick to your Lieder’ Schubert was told, by one of the leading violinists of his day, after unveiling the String Quartet no. 14. The piece was ignored in Schubert’s lifetime, but today ‘Death and the Maiden’ is celebrated as a pinnacle of the classical repertoire. Directed by its leader Katherine Hunka, the world-class Irish Chamber Orchestra opens the second year of its Festival residency with Mahler’s full orchestral arrangement of Schubert’s masterpiece – a day after Quatuor Mosaïques perform the original version. In St Canice’s Cathedral – the ideal venue in which to experience the work in all its visceral power – Death and the Maiden promises to be a highlight of the Festival’s opening weekend. Anarchy has never sounded as much fun as it does in the hands of Lemon Bucket Orkestra, Canada’s self-styled ‘Balkan-klezmer-gypsy-party-punk superband’. The 16-piece ensemble started out busking on the streets of Toronto, but soon found itself performing at festivals all over the world, trailing rave reviews and a clutch of awards in its wake. On the day before the opening of its breathtaking ‘guerrilla folk opera’, Counting Sheep (see page 4), the Orkestra brings its anarchic spirit, boundless energy and high-octane style to the Set for an evening of frenzied Balkan tunes that will have you on your feet and starting a (dance) revolution. Lemon Bucket Orkestra Canada Duration 80 mins approx. Late Works or Last Works? Composer Gerry Murphy explores Schubert’s short but eventful life, from his discovery by Antonio Salieri to the Schubertiad craze, his battles with Church and State, and the astonishing creative energy that once compelled him to write eight songs in a day. One of the world’s leading Schubertians, Lorraine Byrne Bodley of Maynooth University, offers fresh insights into the music of Schubert’s final years and considers our perennial fascination with the composer. The Arrival of Mr Handel Ensemble Marsyas International In November 1741 Handel landed in Dublin in the midst of a professional crisis. His last two Italian operas had flopped on the London stage, but in Ireland Handel saw an opportunity for a radical change of direction... Led by acclaimed bassoonist, harpsichordist and conductor Peter Whelan, Ensemble Marsyas returns to the Festival for a series of three concerts - featuring orchestra, chorus and a suite of world-class vocal and instrumental soloists that tells the remarkable story of Handel’s stay in Ireland. This first concert explores the rich musical milieu into which Handel Peter Whelan was thrown. Featuring modern-day premieres of works by the leading Irish-based composers of the day, together with works by Purcell, Corelli and Vivaldi, The Arrival of Mr Handel sets the composer’s music in a distinctively Irish context. Professor Samantha Owens of the University of Wellington, New Zealand is a world authority on the musical life of early-eighteenth-century Ireland. In this lecture she will explore the concert scene in Ireland, not least the composers of the State Musick at the Viceregal Court in Dublin, leading up to Handel’s visit in 1741. Handel was a brilliant keyboard performer and his compositions for harpsichord were WILLIAM BABELL GEORGE FRIDERIC HANDEL as varied as they were surprising. In the second concert celebrating Handel’s Irish FRIEDRICH ZACHOW adventure, leading harpsichordist Philippe DOMENICO SCARLATTI Grisvard performs a broad selection of pieces FERDINANDO DE MEDICI JOHANN KERLL by Handel and his contemporaries, including ALESSANDRO SCARLATTI Irish composer Thomas Roseingrave. In THOMAS ROSEINGRAVE recent years the magnificent Long Gallery has played host to some of the most memorable Duration 80 mins approx. events at the Festival and this concert, (without interval) featuring many of Handel’s most celebrated pieces, promises to be no exception. Morgan MacIntyre and Gemma Doherty formed Saint Sister less than three years ago, but their rise has been nothing short of spectacular, courtesy of a widely acclaimed debut EP and eye-catching appearances on RTÉ’s Other Voices and at major festivals all over the world. Their original sound, an enthralling mix of soulful harmonies, dreamy synth and electro-acoustic harp, is rightly dubbed ‘atmosfolk’, and their Kilkenny debut in the Set promises to be one of the most enchanting gigs at this year’s Festival. Duration 90 mins approx. Fresh from his starring role in Julius Caesar in Egypt (see page 10), the celebrated countertenor Iestyn Davies joins forces with lutenist Thomas Dunford for a very different late-night performance in St John’s Priory. In recent years, Davies and Dunford have taken time out from their many other projects to tour the world together, garnering widespread acclaim for their fresh interpretations of the courtly music of the renaissance and baroque. Dunford, who first appeared at Kilkenny performing a memorable solo concert for theorbo in 2010, has been described as ‘the Eric Clapton of the lute’ (BBC Music Magazine), and it’s entirely fitting that tonight’s programme features not only great renaissance composers such as John Dowland (whose songs they have recorded to rave reviews), but the Irish premiere of Old Bones, a song sequence written for Iestyn Davies by the contemporary American composer Nico Muhly. The Fidelio Trio is one of the most adventurous and exciting piano trios in Europe. With a repertoire that embraces everything from Ravel and Sant-Saëns to specially commissioned works by leading international composers like Beat Furrer and Evan Ziporyn, the trio has performed in leading concert halls all over the world, earning glowing reviews and a nomination for the highly prestigious Royal Philharmonic Society Awards. In the first of two lunchtime concerts in St John’s, the Fidelio Trio explores a breathtaking pair of works: the Trio in B flat and the Trio in E flat, two of the greatest piano trios ever written. In the second concert, the trio performs some of Schubert’s best-loved chamber works, from the delightfully melodic Sonata in A minor to the ‘Notturno’. For the climax, the trio - joined by Rachel Roberts and Paul Kimber - swells to a quintet to perform the delightful ‘Trout’ Quintet, one of Schubert’s most popular scores. Yiyun Li China/USA Ever since her short story collection, A Thousand Years of Good Prayers, won the Guardian First Book Award in 2006, Yiyun Li has been hailed as one of the most original fiction writers of our time. Now Li has written a memoir, Dear Friend, from My Life I Write to You in Your Life, that mixes the literary and the personal to dazzling effect. Li talks to Cormac Kinsella about her new work, which ranges from her time in the People’s Liberation Army to her decision to renounce her native tongue, and shares her thoughts on the writers that inspired her, including Katherine Mansfield, Elizabeth Bowen and, above all, her friend William Trevor. Duration 60 mins approx. Duration 75 mins approx. In last year’s Festival, electronic composer Linda Buckley and uilleann piper David Power presented Uilleann Goes Electric, the first fruits of a groundbreaking new collaboration which now culminates in this staged performance. Drawing inspiration from the early Antarctic expeditions, Antarctica is a multimedia performance combining Buckley’s hypnotic score with live uilleann pipes from David Power in an environment of evocative projected imagery. Designed and directed by John Comiskey in the atmospheric interior of The Brewhouse, Antarctica stages an enthralling dialogue between past and future. The ensemble was curated by Music Network to perform Edges of Light in September 2016 for an 11-date tour of Ireland. It’s a sometimes-overlooked fact that sunrise at the Dunsink Observatory in Co. Dublin occurs 25 minutes later than at Greenwich; the Irish day takes place in a time all of its own. Edges of Light is a thrilling blend of movement and music that celebrates the shimmering sights and sounds at the cusp of an Irish day. Fiddler Tola Custy, harpist Maeve Gilchrist and uilleann piper David Power mix traditional tunes with new compositions while dancer Colin Dunne brings his improvisatory genius to an exhilarating fusion of melody and rhythm. Liam Byrne is one of the most innovative viola da gamba players in Europe, driven by a restless curiosity that embraces everything from the lesser-known corners of the baroque repertoire to contemporary classical works. A member of leading Early Music ensembles, he has also worked with contemporary composers such as Donnacha Dennehy and David Lang, and created sound installations at major museums, including the V&A (where Inside Voices – see page 14 – was first staged). For this late-night concert in Rothe House, Byrne showcases his range, performing an eclectic mix of pieces from the medieval to the contemporary. British baritone Roderick Williams is a star of recital, appearing regularly at leading opera houses, concert halls and festivals worldwide. In 2015 he embarked on his ‘Schubert project’, culminating in his widely acclaimed recording of Schubert Lieder with Iain Burnside in 2016. Pianist, playwright, broadcaster and International Visiting Artist at the Royal Irish Academy of Music, Iain Burnside has worked with many of the world’s leading singers, performing and recording an eclectic repertoire from Debussy to Schoenberg. DIE SCHÖNE MÜLLERIN When it comes to Lieder, Schubert was ‘a veritable demigod’ (Michael Quinn). In the space of just 13 years he composed an astonishing 600 Lieder, simultaneously establishing and perfecting the form. Based on poems by Wilhelm Müller (who also wrote Winterreise), Die Schöne Müllerin (The Fair Maid of the Mill) is one of the towering achievements of the Lied form, a quintessentially romantic tale of doomed youth and unrequited love; intimate, personal and deeply felt. Duration 60 mins approx. For this late-night concert in the Set, two leading lights of Bedroom Community, the extraordinary record label/collective based in Reykjavik, team up to perform an eclectic array of contemporary pieces, including the European premiere of Donnacha Dennehy’s Tessellatum, a piece for solo viols, viol consort and electronics, specially commissioned for them. Liam Byrne is one of the most innovative viola da gamba players in Europe. A member of leading Early Music ensembles (including the renowned viol consort Fretwork) he has also worked with contemporary composers such as David Lang and Nico Muhly. Artist in residence at Kilkenny this year, he performs his remarkable project Inside Voices (see page 14) at Talbot’s Tower, as well as a solo concert in Rothe House (see page 25). Whether performing solo, as a member of acclaimed chamber ensembles yMusic and Alarm Will Sound, or hosting her awardwinning podcast Meet the Composer, violist Nadia Sirota is dedicated to opening up classical music to broader audiences. Her debut album First Things First was named a record of the year by The New York Times, and she has collaborated with artists such as Grizzly Bear and Arcade Fire. The highlight of the Irish Chamber Orchestra’s residency at this year’s Festival is a pair of concerts that brings Schubert’s key late works into creative juxtaposition with the music of Jörg Widmann, the ICO’s renowned artistic partner and one of Germany’s greatest living composers. It’s a remarkable fact that, since Wellington, many of the British Army’s most successful figures have been Irish, a tradition that continued right up to the Second World War, when several of the greatest Allied commanders – Field Marshals Montgomery, Brooke (pictured), Auchinleck and Dill – were of Irish or Anglo-Irish extraction. Major-General Andrew Ritchie, former Commandant of Sandhurst, joins Niall Burgess, Secretary General of the Department of Foreign Affairs, to explore the impact of these iconic figures on the outcome of the Second World War. Performed by soloists of the ICO, with Widmann on clarinet, this first concert presents two radically different, yet complimentary, octets. Schubert’s pioneering work adds double-bass, clarinet, bassoon and horn to the traditional string quartet, enabling him to alternate the intimate tones of chamber music with large-scale orchestral effects in a delightfully light-hearted composition. It’s an approach to which Jörg Widmann pays tribute in his own octet, with its Schubertian intrada, anguished middle movement and energetic finale. A magnificent collection of artefacts, reflecting 800 years of history in Ireland’s medieval capital, was recently discovered in the 13thcentury St Mary’s Church and Graveyard (now the award-winning Medieval Mile Museum). On display for the first time, by kind permission of the National Museum of Ireland, these personal and poignant objects are symbols of everyday life, worship and death. Join us to celebrate the opening of the exhibition, launched by Dr Rachel Moss, Department of History of Art and Architecture, Trinity College Dublin, with an introduction by archaeologist Cóilín Ó Drisceoil. outside Thomastown that provided the setting for Loosysmokes’ Behind the Dark last year. Featuring two brand-new, specially commissioned compositions (including a world premiere by Jennifer Walshe), CrashLands promises to be a magical performance at dusk in one of the county’s most enchanting locales. Martin Hayes & Dennis Cahill WITH SPECIAL GUESTS It’s extraordinary to think that, in the four years since the Marble City Sessions began, Martin Hayes and Dennis Cahill have played with a host of outstanding musicians – from viola da gamba master Jordi Savall to bluegrass legend Ricky Skaggs – yet they have never played together as a duo. This evening’s concert sets the record straight, offering a wonderful opportunity to experience the collaboration that started it all in its pure, unadulterated form. Performing a typically exuberant mix of jigs and reels, these two virtuosos remind us just how they have taken Irish traditional music to new heights. Duration 90 mins approx. Alfred Brendel Austria In the decade since Alfred Brendel, one of the greatest pianists of our time, retired from concert performance he has been busier than ever, penning acclaimed books such as A Pianist’s A-Z and delivering talks and lectures celebrated for their depth of understanding, elegance and wit. His visit to Kilkenny was one of the highlights of the Festival in 2014, and this year he returns to offer the fruits of a lifetime’s deep engagement with Schubert’s piano sonatas, works whose reputation he did so much to revive. Taking place before Christian Blackshaw’s performance of the last sonatas, this fascinating talk is the perfect introduction to Schubert’s late, great trilogy. Alfred Brendel does not believe that the merits of an artist can be explained or illuminated by his private life. He is never going to write an autobiography and confesses that, to him, there are many things a great deal more intriguing than his own private persona. The focus of this lecture is therefore on musical matters, on Brendel's development as a pianist and writer, and on his place within a changing musical world. Poetry Workshop The Festival’s poet in residence, Paula Meehan, leads this workshop for poets. Participation is by application. Email info@poetryireland.ie for further details. Please note: places are strictly limited. Paula Meehan was born in 1955 in Dublin where she still lives. She studied at Trinity College, Dublin, and at Eastern Washington University in the USA, and has received many awards, including the Marten Toonder Award for Literature, The Butler Literary Award for Poetry, the Denis Devlin Memorial Award and the PPI Award for Radio Drama. Paula has published five collections of poetry, the most recent being Painting Rain (Carcanet, 2009). A selected volume, entitled Mysteries of the Home, was published in 1996. Her writing for stage includes the plays Mrs Sweeney (1997), Cell (1999), and, for children, Kirkle (1995), The Voyage (1997) and The Wolf of Winter (2003/2004). Her poetry has been set to music by artists as diverse as the avant-garde composer John Wolf Brennan and the folksinger Christy Moore, and throughout her working life she has collaborated with dancers, visual artists and film makers. Paula Meehan is a member of Aosdána, the Irish affiliation of writers and artists, and last year completed her term as Ireland Professor of Poetry. Favourite Poem Project In 2015 the Festival launched its own branch of Robert Pinsky’s Favourite Poem Project, inviting a select group of Festival artists and local students to read their favourite poem before a live audience. This year the project returns with a fresh crop of artists, students and Festival volunteers reading the work that lies closest to their heart, and explaining why it means so much to them. Våsen Sweden Våsen is Swedish for ‘spirit’ or ‘essence’, and for 27 years the trio has been the very essence of the Swedish folk scene with their effortless blend of tradition and innovation. Steeped in the ancient traditions of their native Uppland, all three members are virtuosos in their own right. Olov Johansson is a world champion of the nyckelharpa (a keyed fiddle) while composer, producer and arranger Mikael Marin is a master fiddler, but it’s the addition of Roger Tallroth on 12-string guitar that offers a fresh new twist on Swedish folk. Together, Våsen are a veritable supergroup – Sweden’s answer to The Gloaming – performing a mix of ancient melodies and their own compositions with verve, intensity and wit, and they’re sure to go down a storm in the Set. Duration 90 mins approx. Duration 60 mins approx. The Liffey Banks, fiddler Tommie Potts’ radical reinterpretation of traditional tunes, has long been thought undanceable. But if anyone was going to accept the challenge it had to be Colin Dunne. Dunne is Potts’ kindred spirit, and he has drawn inspiration from Potts to create Concert, a response to The Liffey Banks that was rapturously received on its debut at Dublin Dance Festival this year. Part dance piece, part multidisciplinary concert, Concert mixes live performance with looped recordings and a soundscore by Mel Mercier to build a rich tapestry of movement and sound. At once intimate, witty and playful, Concert stages an unmissable duet between two great Irish artists. Aoife Ní Bhriain To celebrate Colin Dunne’s remarkable new dance piece inspired by The Liffey Banks (see above), celebrated violinist Aoife Ní Bhriain returns to Kilkenny to perform Tommie Potts’ classic album in Rothe House. The penultimate concert in our lunchtime series pairs pianist James Baillieu with the thrilling German baritone Benjamin Appl for a performance of Schubert’s famous song cycle, Winterreise. Based on the poetry of Wilhelm Müller, Winterreise is a rapturous meditation on love and longing that only the finest singers can match. Benjamin Appl is perhaps the most exciting young Lieder singer performing today. The last protégé of Dietrich Fischer-Dieskau, he has been both a BBC New Generation Artist and a Wigmore Hall Emerging Artist, and won Gramophone Magazine’s Young Artist of the Year Award in 2016. His most recent recording – Heimat – has been rapturously received. James Baillieu is one of the most sought-after accompanists in Europe. Shortlisted for the Royal Philharmonic Society Outstanding Young Artist Award in 2016, he has worked with many of the leading singers of our time, including Ian Bostridge and Dame Kiri Te Kanawa. The Irish Chamber Orchestra’s residency at this year’s Festival culminates with a performance of Schubert’s largest-scale masterpiece: the Symphony no. 9 (known as ‘the great’). Completed at an age when Beethoven was just beginning work on his first symphony, Schubert’s last symphony is ‘one of the pinnacles of the symphonic repertoire’ (Brian Newbould). This rich and varied programme, conducted by Jörg Widmann, pairs Symphony no. 9 with an orchestral arrangement of Schubert’s glorious last song cycle, The Shepherd on the Rock (featuring soprano Ailish Tynan, with Widmann himself on clarinet) and Widmann’s own composition, Freie Stücke: ten short pieces that give full rein to his remarkable talent. Broadcaster and critic Ian Fox presents a selection of famous Schubert recordings from the interwar years, featuring Richard Tauber, Elizabeth Schumann, John McCormack, Elena Gerhardt and Feodor Chaliapin, among others. It’s several years since Hanggai took the Set by storm on an unforgettable night at the 2011 Festival, and we’ve been trying to lure them back ever since. For those who didn’t have the chance to experience them the first time around, Hanggai are a Mongolian collective whose blend of traditional Asian instruments and Western styles has thrilled audiences the world over since their debut in 2008. Since that first triumphant evening in the Set they have continued to broaden their sound, encompassing everything from thunderous rock interpretations of traditional Mongolian tunes to delicate folk melodies, enriched by astonishing ‘throat singing’ duets that can only be truly experienced live. Don’t miss this chance to hear one of the most original acts in world music. Who knows when they’ll be back? Duration 90 mins approx. After its triumphant performance of Bach’s Mass in B minor in 2015, Chamber Choir Ireland makes an eagerly awaited return to the Festival under the baton of conductor Paul Hillier with a very different programme of spiritual music. With a succession of masterpieces stretching back as far as the Middle Ages, the Russian Orthodox Church is home to one of the world’s great traditions of liturgical singing. This enticing concert explores that rich heritage through the work of great Russian composers, from Vasily Titov (leading exponent of the Moscow baroque), to Stravinsky and Rachmaninov, whose celebrated Vespers are extracted here. This enthralling latenight programme offers a feast of choral music spanning four centuries of Russian sacred song. This unique concert brings the Festival’s Schubert series to a triumphant close with a selection of songs performed by four of our series singers and pianists, together with Andrew Gavin and Gemma Ní Bhriain. Featuring some of Schubert’s most celebrated Lieder, along with one of his most transcendent late works – the Fantasy in F minor for piano duet – the Lieder Finale rounds off our celebration of Schubert’s songwriting genius in thrilling style. A CREATIVE SPACE FOR CHILDREN Kilkenny Arts Festival and StormFest are delighted to collaborate in presenting a brand new storytelling series devised especially for children. Partnering with Creative Ireland, we invite you to our Yurt at the Yard to discover the storyteller within you! Booking required. All storytelling sessions are €5 each. Full of kaleidoscopic wonder and vivid imagination, The Queen of Colours is an interactive story about unleashing creativity and choosing not to ‘colour within the lines’. This spectacle of ingenious puppetry and live illustrations literally jumps from the page. The little queen demands that the court painter brings colour into the world around her and onstage a court musician serenades the adventure with a mix of folk melodies. As we watch the bossy little queen bobble about we learn that, while fun comes in all the shades of the rainbow, too much of a good thing can turn into a mucky mess. This magical award-winning event for young and old theatre-goers alike is created anew for every performance. There will be truths, there will be dares, there will be presents and there will be cake! You are invited to celebrate Katie’s 12th birthday as she explores what it’s like to be moving from primary to secondary school. Solo performer Mary-Frances Doherty explores notions of childhood on the approach of adolescence, looking at the trials and tribulations a young person goes through when they enter secondary school. Duration 35 mins approx. Peter plays an amazing double bass which transforms into the stage and set for two tiny puppets in a show packed with surprises. When the back of the double bass is opened the wondrous world of the miniature father and son is revealed. The father, whose job it is to pop out of a cuckoo clock every hour, is at odds with his son, who is bored by the prospect of inheriting this tedious job. Peter takes us on a dream journey to the enchanting Italian village of Portofino in his play with music, puppets and visual humour. This is a touching and funny story of family and freedom, and what they really mean. Liz Weir: Stories from Here, There and Everywhere Join storyteller, seanchaí and writer Liz Weir as she tells stories from around the world with lots of participation, raps and rhymes. Combining her love of folklore and passion for Irish music, Helena’s storytelling interweaves tales of the mysterious fairy folk with traditional songs. Secret Garden Music and enjoy free performances from leading Irish and international artists, in partnership with Creative Ireland. Performances are subject to weather conditions. From archaeology to architecture, folklore to placenames, Irish culture is deeply rooted in nature. Explore it all this National Heritage Week. Fine healthy food, made using the best local produce. Fresh seafood, fish, meats, and organic vegetables, Natural wine list, organic, fairtrade barista coffees. Selection of handmade desserts and treats. We also gratefully acknowledge those Friends who have chosen to remain anonymous. 15% off ten unforgettable concerts (excluding the Festival Finale) – save up to @35. 10% off any three Marble City Sessions (excluding the Festival Finale) – save up to @9. Four people to attend any one of the children’s shows at the Barn – Queen of Colours, Katie’s Birthday Party or Portofino Ballade. Special offer @30 – save up to @6. See any three talks in the series and get 10% off – save up to @7. 1 inch = 400 feet approx. Hear Schubert’s Great Ninth Symphony in St Canice’s with the ICO, and candlelit Russian sacred music with Chamber Choir Ireland, both on Saturday 19 August. Special offer @49 – save up to @13. See all three concerts in this unique series (The Arrival of Mr Handel, Mr Handel at the Keyboard and Mr Handel’s Messiah) from 13-15 August. Special offer @75 (Full)/@65 (Concession) – save up to @18. See Colin Dunne’s new dance show Concert and Aoife Ní Bhriain performing the iconic album that inspired it. Special offer @30 – save up to @8. See two great gigs in the Set, Lemon Bucket Orkestra and Saint Sister (12 and 13 August). Special offer @38 – save up to @8. Don’t miss a unique double bill on Friday 18 August: Alfred Brendel's lecture on Schubert’s last piano sonatas, followed by Christian Blackshaw’s performance. Special offer @45 (Full Price)/@40 (Concession) – save up to @8. Hear two contrasting performances of one of Schubert's masterpieces: the original string quartet with Quatuor Mosaïques on Friday 11, and Mahler’s orchestral arrangement with the ICO on Saturday 12 August. Special offer @35 – save up to @8. Schubert & Widmann Buy tickets for three or more of the One O’Clock concerts and save 10% – up to @29 off if you attend the full series. Join the Irish Chamber Orchestra and composer/conductor/ performer Jörg Widmann for two unique concerts combining Schubert masterpieces with Widmann’s own works (Wednesday 16 and Saturday 19 August). Special offer @44 – save up to @13. On Sunday 13 August, take in an evening of glorious baroque choral music at St Canice’s with The Arrival of Mr Handel, and a late-night recital of renaissance airs by Iestyn Davies and Thomas Dunford. Special offer @49 – save up to @13. See two exhilarating theatre shows, Counting Sheep and Raven Eyed, for @45 and save up to @8 (excluding Counting Sheep opening night 13 August).